The Website is operated by the Racing Officials Accreditation Program, Inc. (“ROAP”) (collectively, “We”, “Our” or “Us”). We own the information collected via the Website and we may use it for our own purposes, including marketing. In the course of using the Website, we may ask you to provide us with certain information, including contact information, such as your name, mailing address, email address, phone number or fax number; unique identifiers, such as your license number, user ID, or user password; and demographic information, such as your date of birth or age. We may also offer you the option to complete a user profile that is visible to other users of the Website. Your user profile may include: contact information; a profile photo; biographic details that you provide; and links that you provide. Your first and last names, profile picture, email address, primary phone number, ROAP specific information (education, status, standing, etc.) and work experience are considered “public” on the Website and search engines may index this publicly available information. You may request that your profile be removed from public viewing on the Website. Your profile will still be viewable by ROAP personnel for use with your ROAP records. To request your profile be removed from the Website, please send an email to contactus@horseracingofficials.com or log in to your account to update your preferences. We may receive information about you from other sources and add it to your personal information, including but not limited to, through your participation in a ROAP accreditation school, certificate program, continuing education class or other ROAP related forms or events. You may be asked to complete a registration form and update your account information and provide personally identifiable information; you may also be asked to choose a user ID and password in order to take advantage of all features of the website. From time-to-time We may request personally identifiable information from you in conjunction with a survey or voting poll. Participation is voluntary, and you will have the opportunity to decide whether or not to disclose information. • send you promotional material or special offers on behalf of Our marketing partners and/or their respective affiliates and subsidiaries and other third parties. • Account: We provide you the option to make your profile public on the ROAP website, in which case your personal information will be displayed on the Website in association with your profile. • Affiliates: We may share your information (including, without limitation, personally identifiable information) with affiliates of ROAP, including accreditation school organizers, Continuing Education class organizers, and certificate program organizers, for purposes of facilitating such programs. • Business Transfers: In the event that assets or Ours are sold or transferred to another party, or another transaction occurs in which your personally identifiable information is one of the business assets transferred, all personally identifiable information that has been collected and saved may be one of the business assets We transfer. You will be notified of such a transfer in accordance with the “Changes to the Policy” section. The Website may make reviews and commenting available to you and other users from time to time. You are required to provide personal information when using these areas, including name, information about your employment and licensing information. The personal information will be publicly available. We cannot ensure the security of any information you choose to make public in a review or comment. Also, We cannot ensure that parties who have access to such publicly available information will respect your privacy. Please exercise caution when deciding to disclose personal information in these areas. To request removal of your personal information from any forum, contact Us at contactus@horseracingofficials.com. In some cases, We may not be able to remove your personal information, in which case We will let you know if We are unable to do so and why. If your personally identifiable information changes (such as your email address or zip code), or if you no longer desire to have access to the Website, We will endeavor to provide a way to correct, update or remove the personal data you have provided to Us. 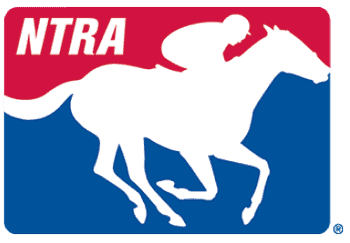 You may request that We do so by emailing Us at contactus@horseracingofficials.com, signing into your online account and making the desired changes, or via mail to: Racing Officials Accreditation Program, 821 Corporate Dr., Lexington, KY 40503. We will respond to your request within ten business days of receiving your correspondence. California Civil Code Section 1798.83 permits customers of the Website who are California residents to request certain information regarding Our disclosure of personal information to third parties for their direct marketing purposes. To make such a request, please send an email to: Racing Officials Accreditation Program, 821 Corporate Dr., Lexington, KY 40503.